I realized I never really blogged about this, but the tools I put together were used to design another airframe. 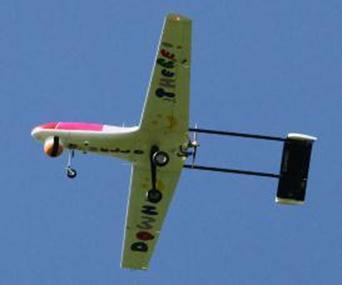 The mission was initially quite secretive but now I can reveal that we were working together with the BBC to develop a UAV that could be used to provide footage at the Olympics. As added bonus the Blue Peter show would be involved as well and run a competition to name the aircraft and provide a colorful design. Some coverage of this can be found on the BBC Website, this adds to previous coverage we have had in the past. Blue Peter, gets it’s own drone! Our final airframe is shown below, mostly 3D printed, with a gimball camera, named iFlyer and painted by Blue Peter competition winner Izzy Bennett, age 11. An immense amount of work was put in by the whole team in order to get the aircraft fully certified. Unfortunately the CAA never gave the permission to fly the aircraft anywhere near the Olympics. It was just too a big and important an event and they wanted to take no risk whatsoever. So thats a pity but there are other interesting plans in the pipeline with the BBC so enough to look forward to. 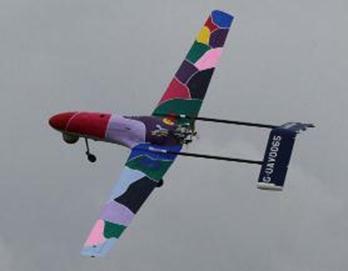 This entry was posted in decode, research, uav and tagged blue peter, olympics, uav by dgorissen. Bookmark the permalink.